More on due diligence – legal, financial and physical considerations. Last month, we talked about due diligence when purchasing commercial property – what it is, why you should do it, who should do it, how and when to do it. In this month’s blog we are digging a little bit deeper into the sorts of things you should consider as part of your due diligence. We’ve come up with a kind of due diligence checklist – so if you’re looking to invest in commercial real estate investment, cover your bases and start here. 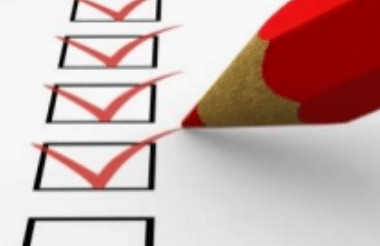 We’ve divided our checklist into three main areas: legal, financial and physical. If you can, visit the site. If you can’t, have a trusted person visit on your behalf. Check the condition of the property – inside and out. Who are your neighbours? The quality of your neighbours can really affect your investment and business. Are there fire alarms? Sprinkler systems? Check what chattels are included and what state are they in? Is it tenanted? Who by? What is the mix? What is the term?Do you foresee any capital expenditure requirements? Who to ask for help: property inspector, registered builder, an engineer. Go over the lease with a fine tooth comb and don’t forget to include a due diligence clause. Check the property’s planning zone to see what land and activities are permitted. Future developments – is there anything in the pipeline that could affect your property? Is the building up to code? Is it safe? What about the electrical warrants of fitness? Who to ask for help: lawyer, local council. Get a valuation to check whether the price is right. Is your insurer prepared to insure the property? Research comparative sales data for similar properties in the same or similar areas. Is the property tenanted and what are the current returns? What is the current and potential future capital value? This list is far from exhaustive – it’s a starting point and after you start, your investigations will probably lead to further investigations. The goal is to be comfortable and confident that the purchase is sound. Finally, don’t believe everything the seller tells you. Do your own research and don’t forget the due diligence clause in the contact! Looking for a commercial property to buy then check out our; warehouses, offices and retail spaces for sale.